Hey guys. So I want to talk to you about how I do my under-eye and blemish concealing. 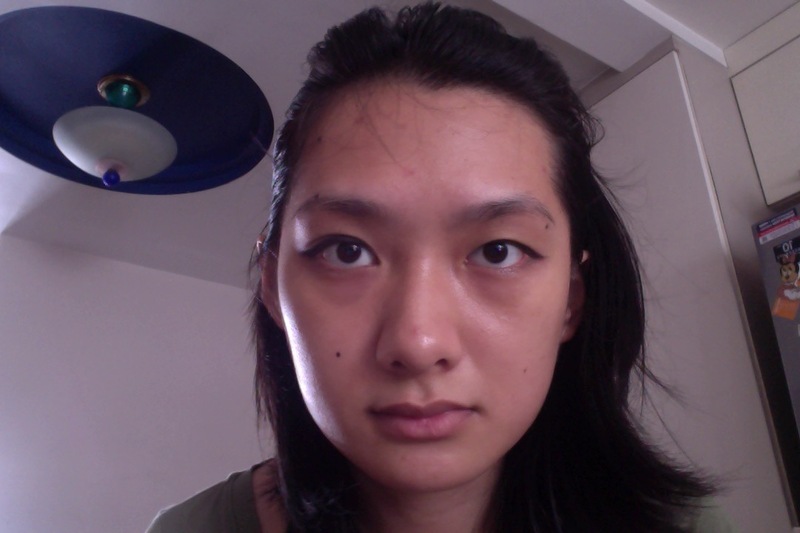 I have pretty okay under-eye circles and bags. I still haven’t found an efficient way to conceal my bags, so I just leave them alone. I still look tired, but it’s not as bad as barefaced. I recommend for anyone above the standard medium skin shade range who wants to try using the Skin Food Concealer to use it minimally and build it up. 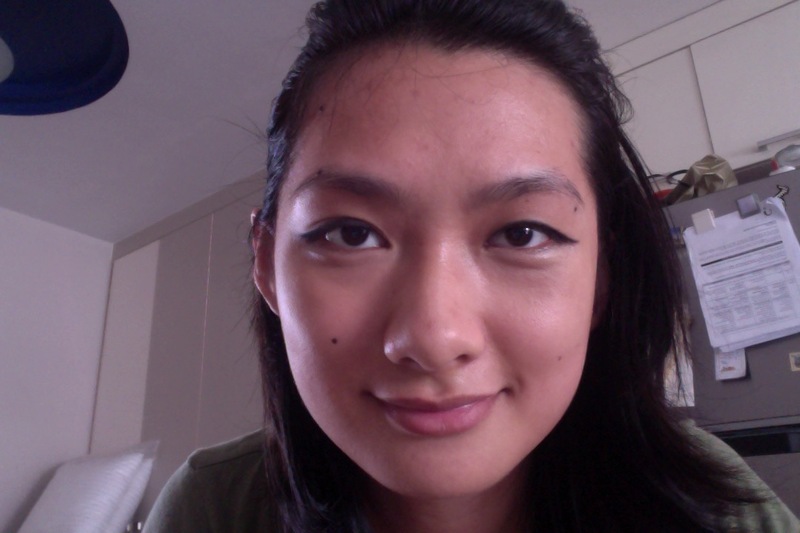 I learned my mistake when I realised that glopping it on was making my under-eye crease like my grandma’s eyes. Dip the tip of your concealer brush into the product to grab the tiniest amount of product and swipe it on diagonally using the tip. I know there are members of the beauty industry out there who tell you to use the flat end of your brush to pack it on, but I’ve found that it only brings the concealer down into the brush end, which makes it very hard to remove the concealer when you finally sit down to clean all your brushes (or, if you are like me, every alternate ~ two or three days, depending on whether I used powder or cream). It also doesn’t cover as well as using the flat side, as the edge of the brush helps to push the product into the skin, rather than lying on the skin to crease. Then apply a concealer that’s (a) slightly brighter than your skin tone and shade [no more than 1/2 ~ 1 shade lighter], (b) the yellow toned version of your skin colour, or (c) matches your skin exactly [I usually just use my foundation on top of it]. I happen to have one that covers most of the above options (*^ ^*), which is the L.A Girl Pro Conceal HD Concealer in GC976 Pure Beige (which despite the name is very yellow-toned). When I first apply it, it comes across as very light and very yellow, but in comparison to the MAC Studio Finish Concealer in NC30, it’s much darker. It could be a NC35 ~ NC40, but I can’t be sure since I only have one Mac Concealer to speak of, and I bought it at duty free. Finally, I apply translucent powder over the concealers to set. I used the travel size version of the Tarte Smooth Operator Amazonian Clay Finishing Powder. For a drugstore option, you can try the recently introduced Etude House Zero Sebum Drying Powder. I tried the Etude House version after using the Tarte, so there’s a very strong scent to the the powder. It’s also much more oil-sucking than the Tarte one imo, but I haven’t exactly tried everything in the market in terms of translucent powder. I used to be very rar-rar about the Catrice Skin Finish Compact Powder in 020 Natural Beige, which is very pink-toned. It’s not mattifying, not like translucent powder, which was the degree I needed but couldn’t find. However, they make an excellent beginner powder compact as it does not clog pores and is very finely milled. 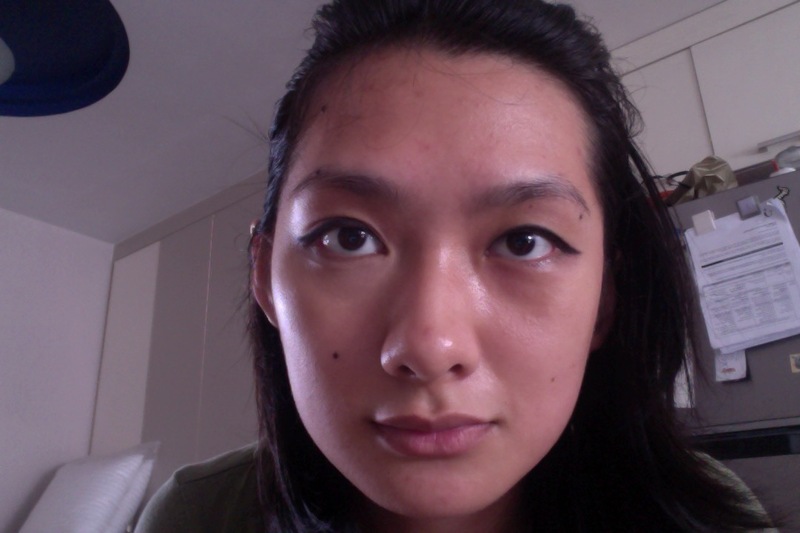 I also tried their All Matt plus Shine Control Powder in 025 Sand Beige, which is basically colourless on me. It does mattify very well, but the few time I used it, it left little holes on my face. I might have to try it again to give you a full review on it. Neither of them worked very well on me, so I’m going to have to eventually throw them out. So here’s a side by side comparison of with my concealing and without. On your left side is with concealer. On your right there’s none. Here’s both side concealed, as well as on my nose, chin and forehead. It’s not a perfect blemish concealing, but I haven’t found one that really sticks and conceals and haven’t the money to start searching. Bye guys. Sorry about the excessive ramblings. Comment and like the post if you want me to do a video showing how I conceal my under-eye, blemishes and give you some product recommendations. I can promise that all my products are all bought by me or owned by my mother.